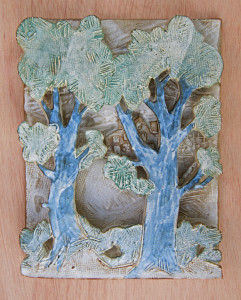 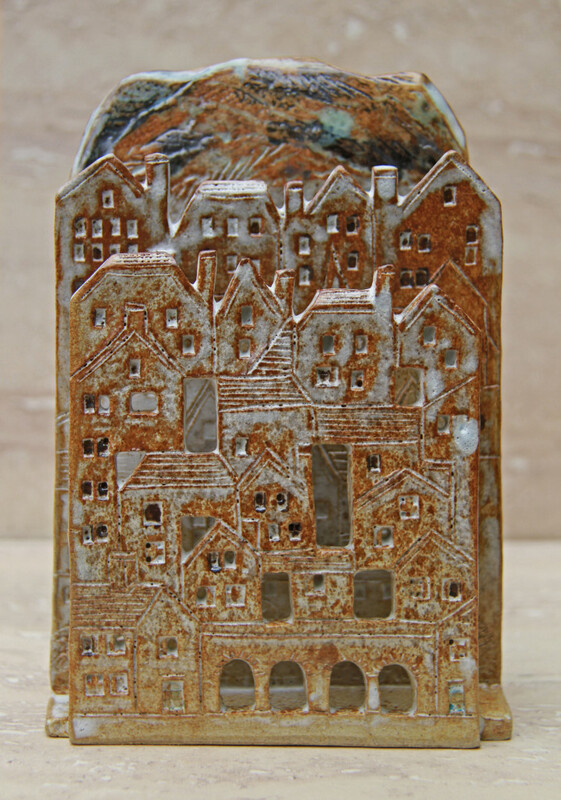 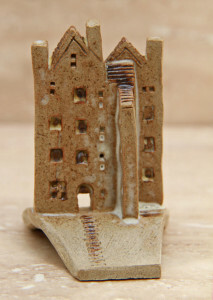 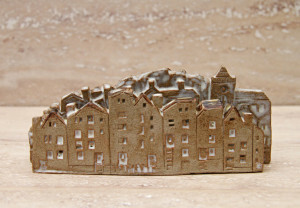 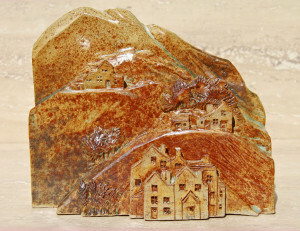 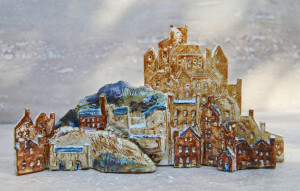 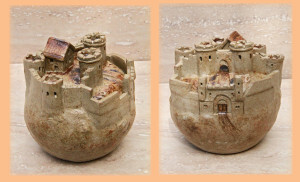 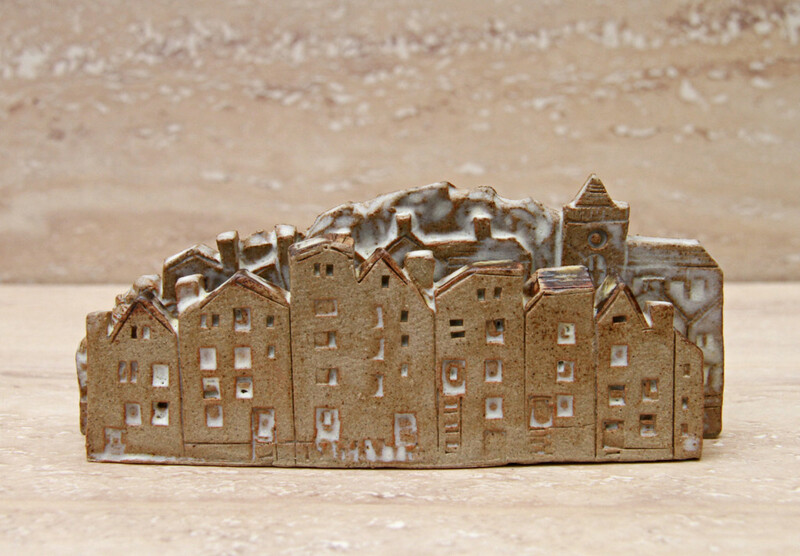 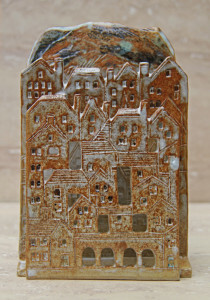 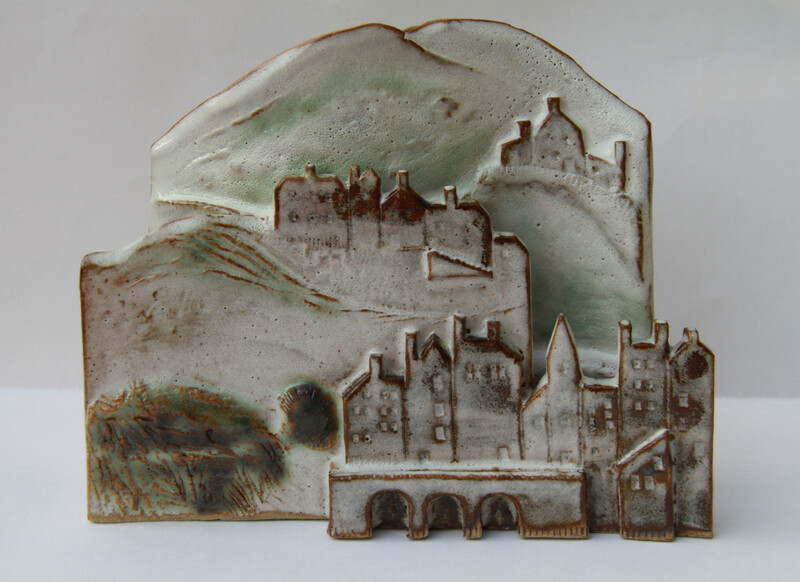 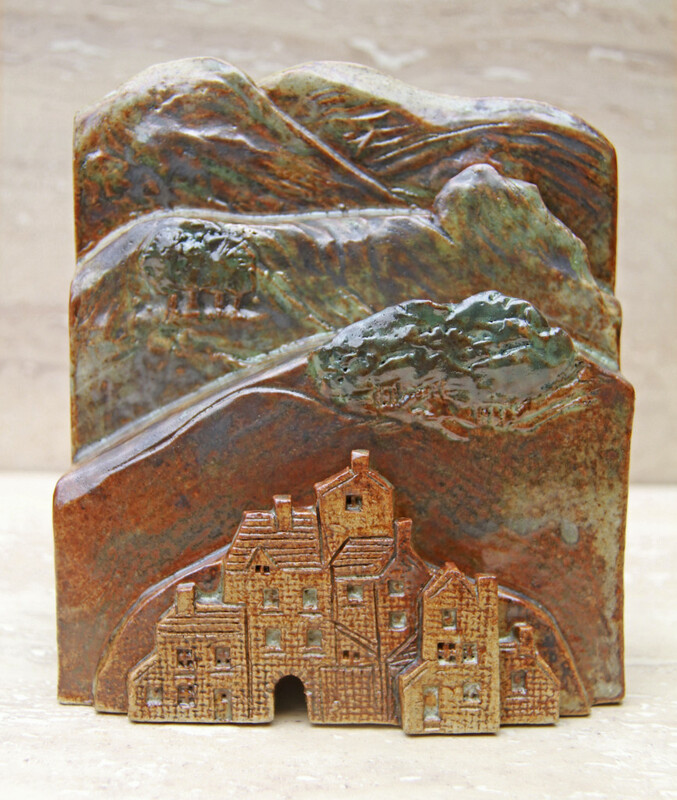 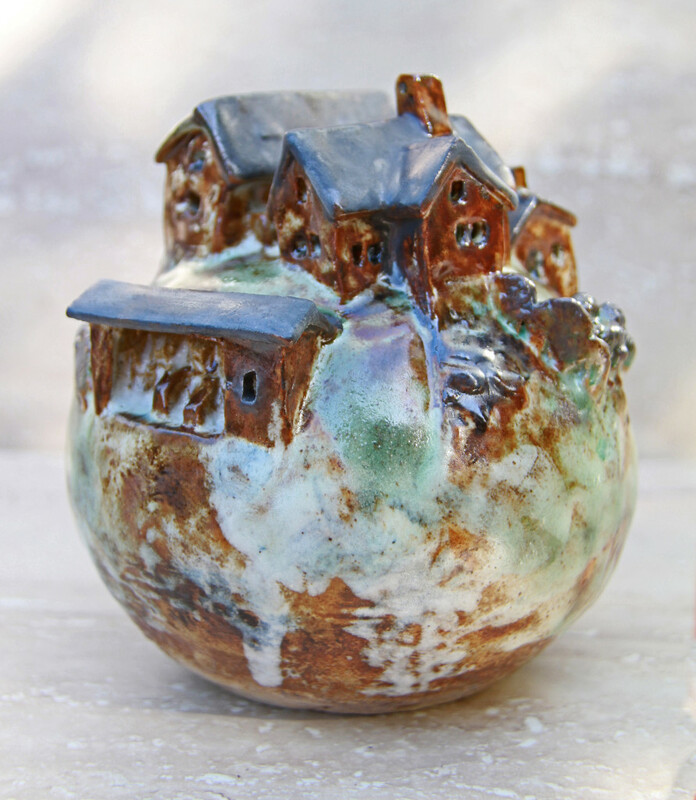 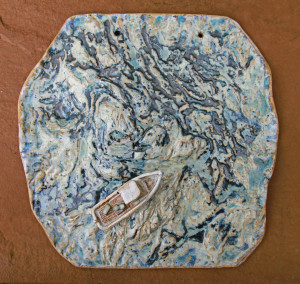 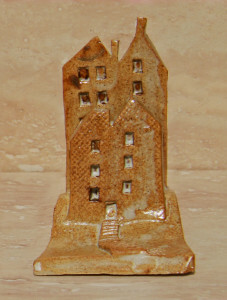 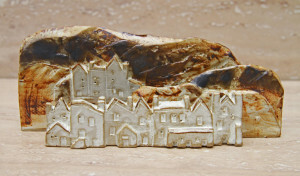 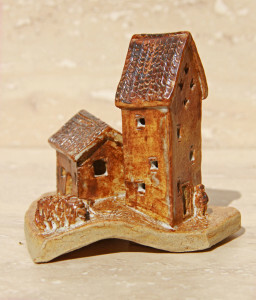 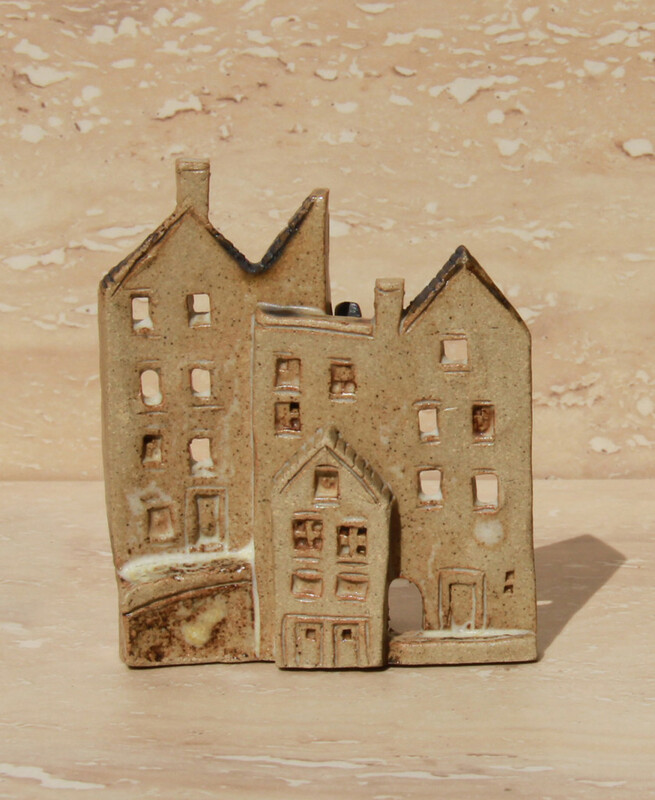 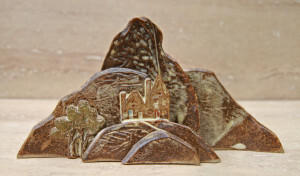 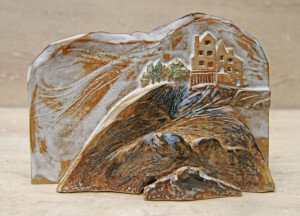 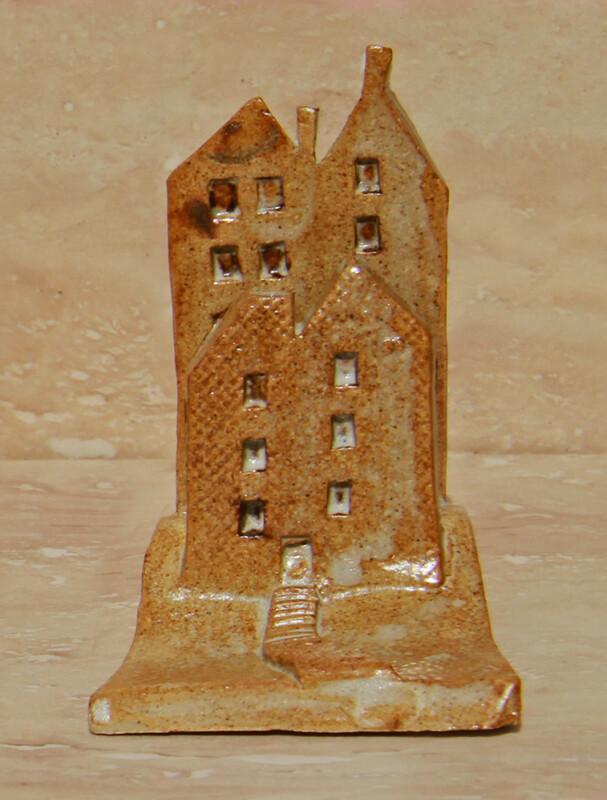 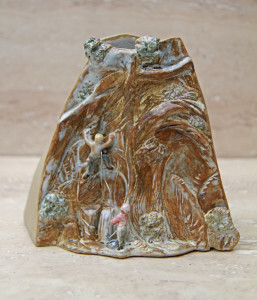 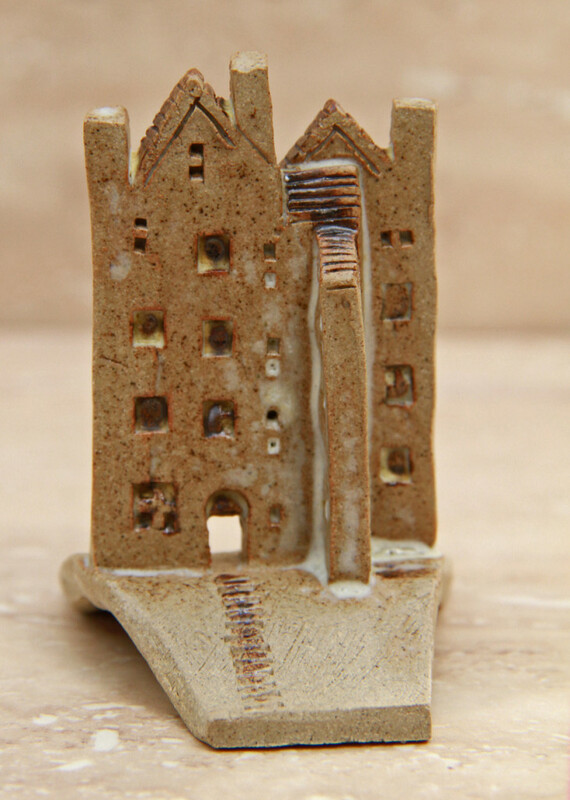 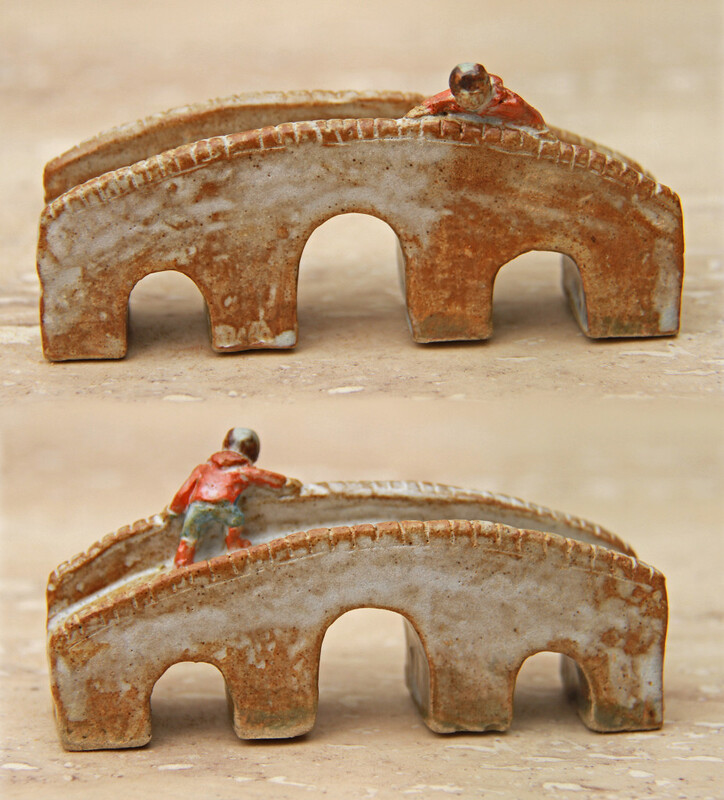 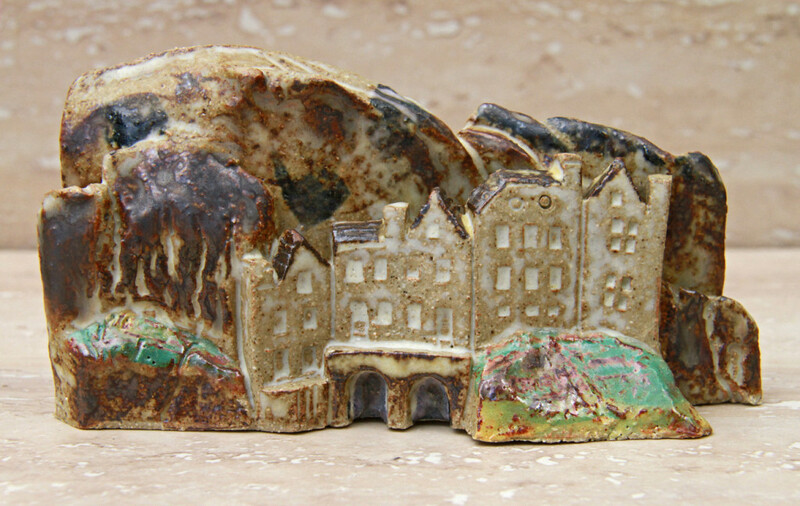 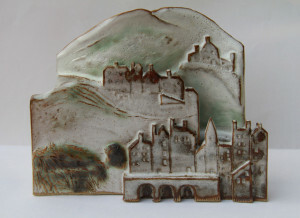 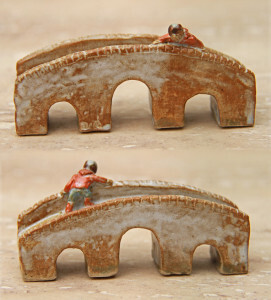 A selection of attractive hand built ceramic sculptures, mostly depicting landscapes, townscapes, village scenes etc. Each piece is unique and I enjoy the freedom to develop ideas as I go along. 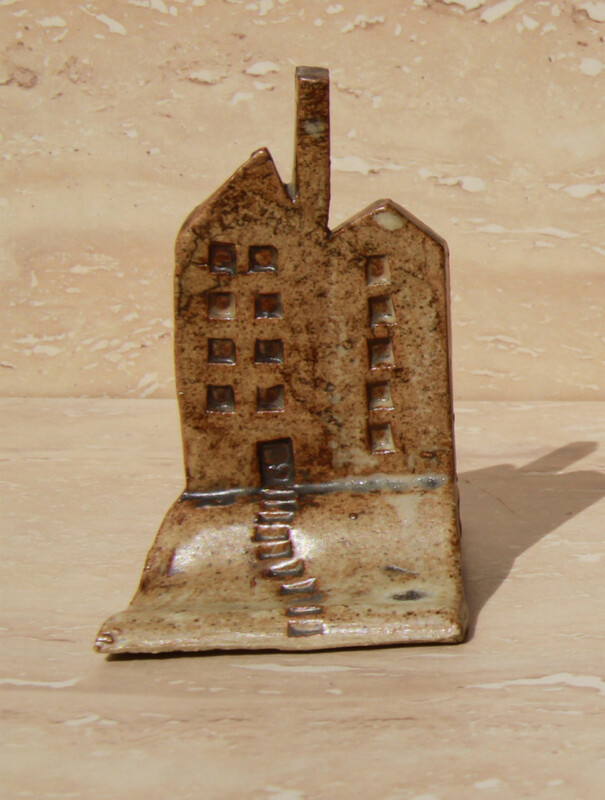 Prices vary according to size and the complexity of construction. Click on a photo to see a description plus approximate size and price. 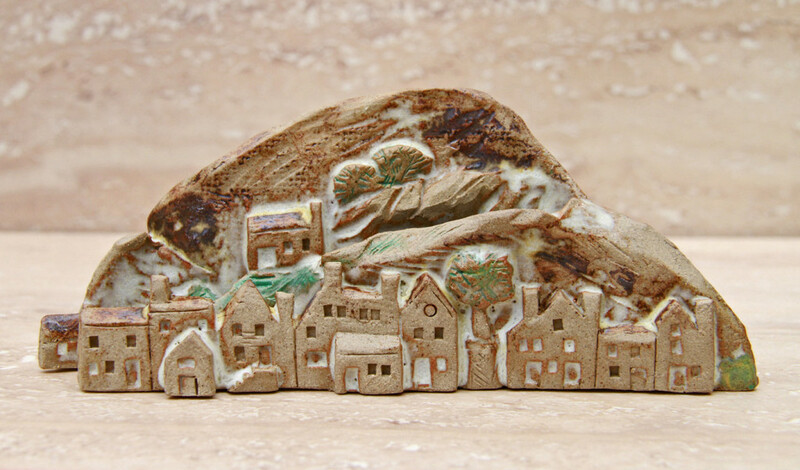 Please be aware that because of the nature of ceramics, careful packaging is essential and carriage (which is extra) can be expensive, especially for larger pieces. 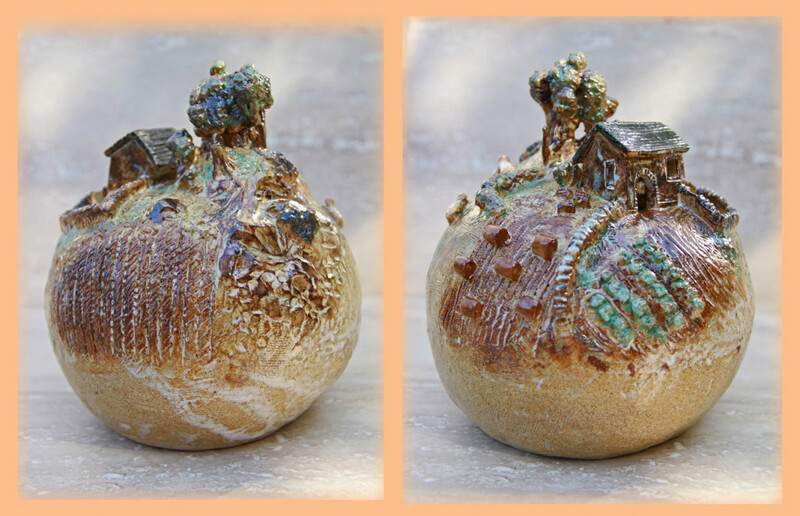 Most of the pieces I make are slab construction although where there is a spherical base that is coiled. Also, while some are pots which could be used as containers, and others are designed as candle-holders for candles or T lights, the majority are simply sculptures with no functional purpose. The prefix SP indicates a pot form, SH is where there is a hill included in the piece and SB where it is simply buildings. 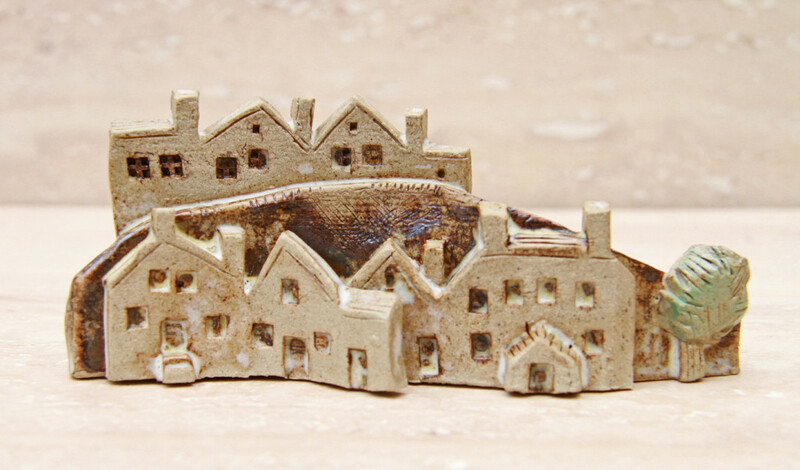 The pieces with a prefix of SM before the number are what I call ‘slab minis’ – they are often tiny and are made from the small, odd shaped pieces of clay left over from larger works.